Top 5 things your martial arts teacher would like from parents. Parenting is the most important vocation anyone could ever do. In today’s fast paced, high tech world, the average parent is burdened with so many obligations and responsibilities that it can become a daunting task. Remember: it take a village to raise a child and parents should be , and deserve to be, supported by their community. As martial arts teachers we understand that we are partners in your child’s character development and our influence and responsibility doesn’t end on the mat. At K2 Martial Arts we have a specialized curriculum that encourages children to grow as a person academically, socially, and personally. We also understand that parents of our students are a huge part of that success. We know for a fact that when Mom and Dad become involved in their child’s martial arts program, the positive results from our martial arts lessons are amplified exponentially. Here are the top 5 things that your karate teacher wishes parents would do to make the most of our K2 Martial Arts program. 1. Read to your child. Not only is it a requirement for their achievements stripes, research has shown that reading to your child aloud is the single most important activity for building the knowledge required for eventually having your child to find success in learning to read. 2. Be knowledgeable about your child’s martial arts and academic life. Start by getting to know your child’s karate teacher and school teachers by name. Make sure to communicate and touch base about any concern with the teachers before or after their class. Watch your child’s karate lessons and reinforce character lessons being taught at home, and attend open house events and family activity days at K2 martial arts to build a stronger partnership with teachers and assistant teachers. Most importantly, talk to your child regularly about the principles of the martial arts being taught and practiced during their K2 class on a regular basis. 3. Take part in their K2 martial arts life. Don’t miss out on events like tournaments, demonstrations, or belt and strip presentation nights. Your support and encouragement will be so meaningful to your child’s success and spur them on to future achievements. 4. Lead your child by example. Be a healthy example physically, mentally, and emotionally for your child to follow. Be active with them by exercising together in martial arts or other activities. Have them see you read regularly for yourself to instill in them that knowledge acquisition is an ongoing process that even Mom and Dad participate in (learning side by side with them in their karate class will also exemplify this). Be careful of the words you use in their proximity, even if we are not directly communicating to them; when having a casual conversation with another adult, friend, or spouse, if those conversation have any negative connotations, your child can easily pick up on it and may replicate the negative nature with peers. Show your child that you also value education by sharing with them knowledge you acquired during a class or interest you participate in. 5. Create learning moments at home. At K2 martial arts we consider parents the most important life coaches that a child has, and we remind our students of the importance of listening and respecting our parents as we would our martial arts instructor, for the lessons our parents share with us are of the greatest importance. 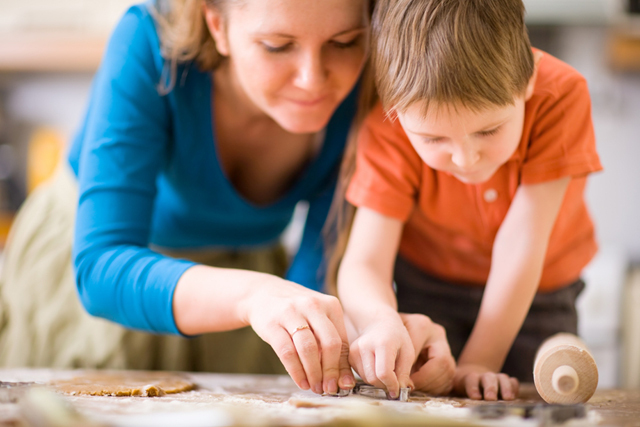 There are many learning moments at home with the family that can be very educational and fun, such as learning to bake and gardening. Field trips to museums with the entire family are a great outing and extremely beneficial to all. Your child and your child’s martial arts teacher will appreciate your support as a valuable part of their success in the martial arts and life!